The Dutch are, without a doubt, the most impressive hydrological engineers on the planet. You really have to be when much of your country lies below sea level and is vulnerable to floods. I could spend blog post after blog post talking about how impressive the Dutch are at what they do, and I might just do so at some point. For now, though, I'm exploring one of the most innovative pieces of hydrological engineering they created: the Dutch Water Line. 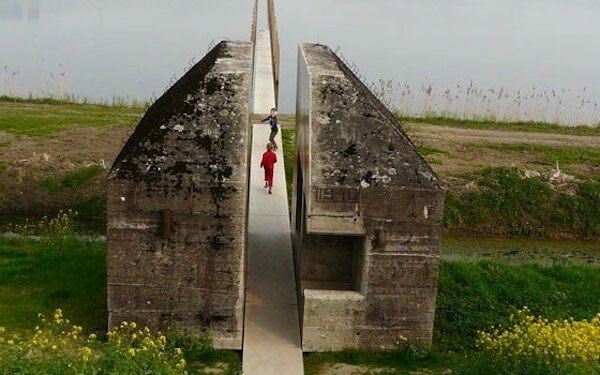 The Dutch Water Line was a series of defenses built to flood huge chunks of the Netherlands (then Holland) if invading forces threatened. Engineers first dreamed up the idea in the early seventeenth century and built it quickly afterward. The idea didn't appear from thin air (or, er, shallow water). The Dutch eighty-year war of independence against Spain featured several instances of flooding used as a defense. Yet, building out this new concept—to cut off all of Holland was a much larger and more ambitious step forward. The Dutch finished the line in just a few short years. Which brings us to the early 1630s. The Dutch Water Line managed to keep the French armies out, while the Dutch somehow managed to defeat the terrifying English navy at sea. The Dutch Water Line was used several more times throughout its history, to mixed success. Waiting for the body to freeze over—in order to cross—was an entirely viable strategy. Modern bombers and missiles have largely rendered the defensive line useless. Instead, the Dutch now often use those drained lowlands of the water line for bicycle and hiking trails. And today, we’ll find many natures reserves along and around the line. Check out his terrific post HERE. Fun fact: We have coffee to thank for economics, geology, and countless other scientific and intellectual advancements. Seventeenth century Scotland was a nasty place in many ways, filled with poverty, disease, and chronic alcoholism—in great part because the water wasn't safe to drink. Raids from highland clans were also a fact of life. By the eighteenth century, however, things had changed radically. The highland clans were defeated, the economy was looking up, and things were just improving all around. And then coffee showed up. All of a sudden, you had something to drink that would neither make you sick, like the water, or drunk, like the ale. Intellectuals started gathering in social clubs and became massively more productive. Among those intellectuals were Adam Smith, the father of modern economics; James Hutton, the father of modern geology; Robert Burns, one of the greatest English language poets of all time (as well as Scots language poets); Joseph Black, the chemist who discovered magnesium and carbon dioxide; philosopher David Hume; and many more. What's more, they weren't operating alone. They largely all knew one another. Joseph Black, James Hutton, and Adam Smith were all incredibly close friends. This was a movement focused on empiricism and reason, and it came to be known as the Scottish Enlightenment. 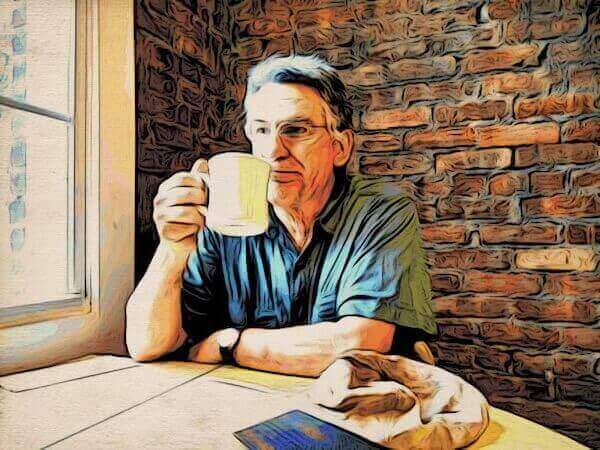 Coffee is by no means an unadulterated good in history, especially not at the growing end of the supply chain, but it did radically change history wherever it arrived. Pretty impressive for a beverage. This week, my friend The Yard Ramp Guy sums up 2018 and, with typical humbleness, shows why integrity is the keystone to a successful business. Check out his magnificent year-ending post HERE. The Cappadocia region of Anatolia, Turkey, is riddled with underground cities. In 1963, a man in the region knocked down a wall of his home (for home renovations, I hope, though maybe he was just in a particularly bad mood) and discovered a mysterious room built into the rock. After a little more digging, he broke into a whole intricate tunnel system: the Derinkuyu underground city, carved thousands of years ago. The Cappadocia region sits on a one kilometer (3,300-foot) tall volcanic plateau. Millions of years ago, it was covered in volcanic ash, which solidified into tuff, a type of volcanic rock. People developed a wide range of uses within the tunnel systems. Food storage was one of the earliest and most reliable: cave systems tend to maintain constant temperatures, often considerably cooler than the surface. We’ve also used underground cities multiple times throughout history to hide from attack. Derinkuyu is extensive enough that it could have hidden as many as 20,000 people. They had the benefit of ample storage space, which included wine and oil presses, stables, refectories, and chapels. The city contains five different levels, each of which could be closed off independently of the others. 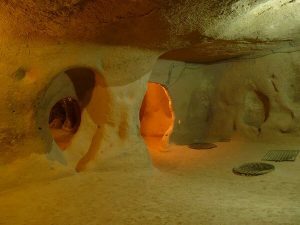 Not least incredibly, the Derinkuyu is also connected to the Kaymakli underground city by an 8 km (5 mile) underground tunnel. There is some debate about who first built the cities. Some attribute them to the Hittites (between the 15th and 12th centuries BC), but most believe they were constructed by the Phrygians (between the 8th and 7th century BC), the people who supplanted the Hittites, and then themselves faded away during Roman times. The Derinkuyu was used by the Byzantines much later to defend themselves during the Arab Byzantine wars (780-1180 AD). Even as late as the early 20th century, the tunnels were still in use by the locals to avoid Ottoman persecution, only falling into disuse in 1923. So, doing our math, the lost city had only been lost for 40 years when it was re-found. Today, much of the Derinkuyu underground city is open for visitation by tourists. And more than 200 other underground cities with a minimum of two levels (40 have three or more) have been discovered in the region. 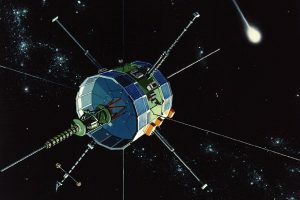 On August 12, 1978, the International Cometary Explorer (ICE) was launched into space on a heliocentric (sun-centered) orbit. Originally launched as the International Sun/Earth Explorer 3, NASA intended ICE to investigate the solar wind and Earth's magnetic field. The unmanned probe finished that mission successfully and was then repurposed into being the first spacecraft to visit a comet. It was also the first spacecraft to maintain an orbit at the L1 Lagrange point. So, ICE/ISEE-3 was a pretty big deal, NASA reluctantly cut contact in 1997. They made brief contact with it in 1999, just to check that it was still there. In 2008, as it happened, the probe was not only still there; the thing was still functioning. Then, in 2014, as ICE approached Earth again, NASA determined that the probe continued to function…and maybe it was possible to bring it back into operation. NASA toyed with the idea briefly, but they ended up doing nothing (yes, it’s always easier to do nothing). Then a remarkable thing happened: a group of interested scientists, engineers, and programmers began a grassroots attempt to bring the satellite back to life. With NASA's blessing and some assistance, they began their campaign to revive the probe. They crowd-funded their expenses and actually began to acquire all the defunct, obsolete hardware they'd need reanimate the probe. On May 29th, the team successfully made contact with the probe. Though they were able to fire the thrusters one time, mechanical issues prevented them from doing so again due to the loss of the nitrogen gas pressurizing the fuel tanks. They eventually lost contact on September 16th. It seems unlikely that they'll ever regain contact. Yet this was an incredible milestone: theirs was the first crowd-sourced, crowd-funded, citizen-driven planetary space mission. That's one heck of an achievement. In 1838, the world changed forever when Sir William Fothergill Cooke and Charles Wheatstone introduced the first commercial electric telegraph in England. The early telegraph systems were crude, only transmitting Morse code (and competing telegraph codes) a few tens of miles. They soon—and rapidly—began growing longer and more efficient. Within a few short decades, we were stretching cables around the world. It's a bit astonishing to think that this technology existed alongside the early telegraphs. 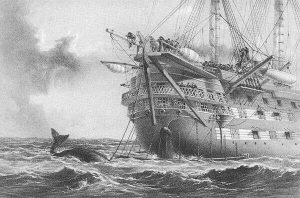 The first transatlantic cables were laid in the 1850s by the H.M.S. Agamemnon, a converted British sailing warship. As the telegraphs spread, the world got smaller and smaller. The phrase “global village” might have been coined in the 1960s to talk about television, but it really started with the laying of the great undersea telegraph cables. This was nowhere more strongly exemplified than by the eruption of Krakatoa on August 27, 1883. The news of its eruption actually raced ahead of the shock wave itself, and many people could identify the source of the massive soundwave that traveled around a large portion of the globe before it reached them. The Krakatoa eruption was the first time the entire world was paying attention to a single natural disaster and, in many ways, it was a real game changer. The British didn’t learn of Napoleon’s defeat until four days after. It took mere hours to hear of the eruption of Krakatoa, halfway around the planet. We can brag about how much the Internet has changed the planet, but the Internet is merely an extension of what the telegraph cables started. Down to the dark, to the utter dark, where the blind white sea-snakes are. Or the great grey level plains of ooze where the shell-burred cables creep. For a Power troubles the Still that has neither voice nor feet. Joining hands in the gloom, a league from the last of the sun. Family. Country. And Great Things. Especially the Ramp. McCoy Fields, The Yard Ramp Guy® is a trademark of The YRG Holding II, LLC. © 2019 The YRG Holding II, LLC. All Rights Reserved.